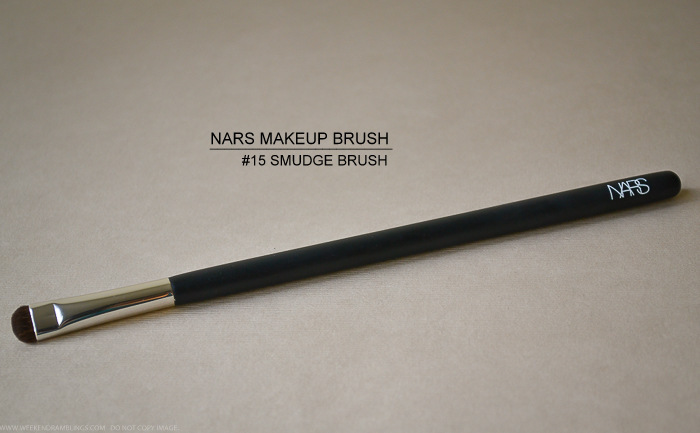 NARS #15 Smudge Brush is another of the NARS eye makeup brushes that I own...and sort of like. By the description on the NARS website, this brush is made of "pony hair ideal for applying eyeshadow near the lash line for smokey effect." 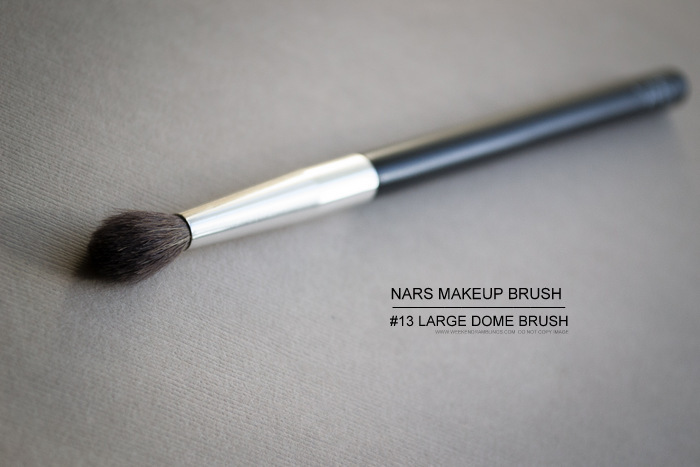 Like all the other NARS eye makeup brushes I have tried, the black handles on this brush are a little on the longer side compared to most other brushes, and the shiny metal ferrule crimps towards the end, holding the densely bundled hair quite securely. I have had this brush for more than a year, and it looks just as good as new through all the washings and smudgings. Scroll on for more photos. 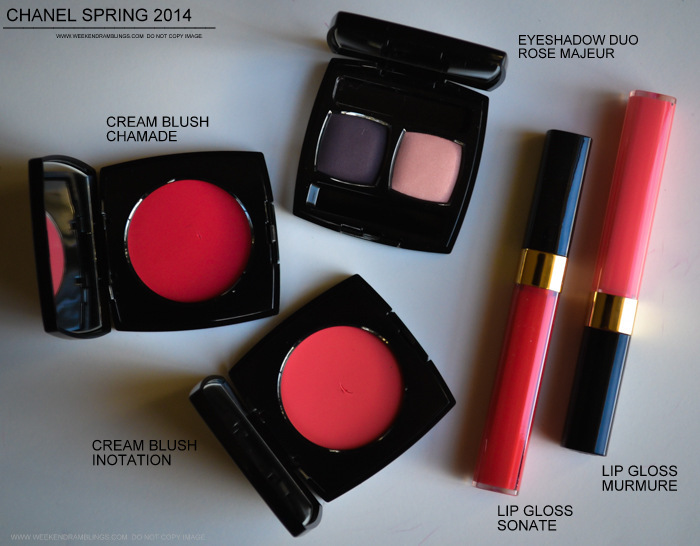 Chanel Spring 2014 makeup collection - Notes de Printemps - turned up at counters and online about a week or two back. The collection has a lovely mix of peaches and pretty pinks and some lovely bright lipsticks, but I decided to go with the two Levres Scintillantes Glossimer - Sonate (a reddish peach) and Murmure (soft pink). 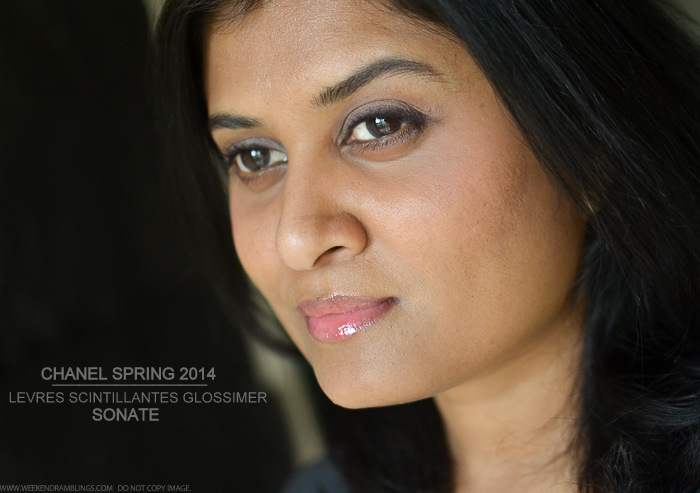 Both the lipglosses are creamy, relatively opaque (by gloss standards), and there is no shimmer mixed in. 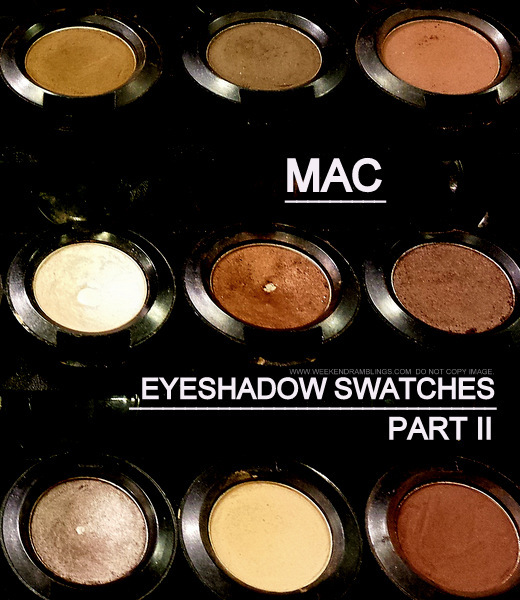 Take a look at some more photos and swatches. For years, I have had oily skin and was never without at least a few pimples on my face. Over time, aging has taken it's toll on my skin - in a good way, I guess - and the oiliness and the pimples have almost completely disappeared. I still have sensitive skin, though, and I have to be careful what I throw on my face or I could easily end up with a pesky pimple and the marks to remind of my mistake for another month or two. If you have skin like mine, that needs a bit of a moisture boost, especially in the winters, but not something oily, then you might want to give hyaluronic acid a try. 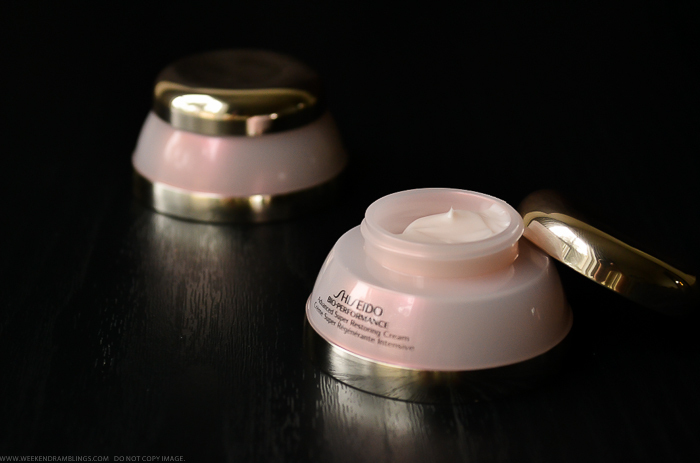 La Nuit de Chanel from the Chanel Resynchronizing Skincare range has made me a believer in the moisturizing effects of hyaluoronic acid. 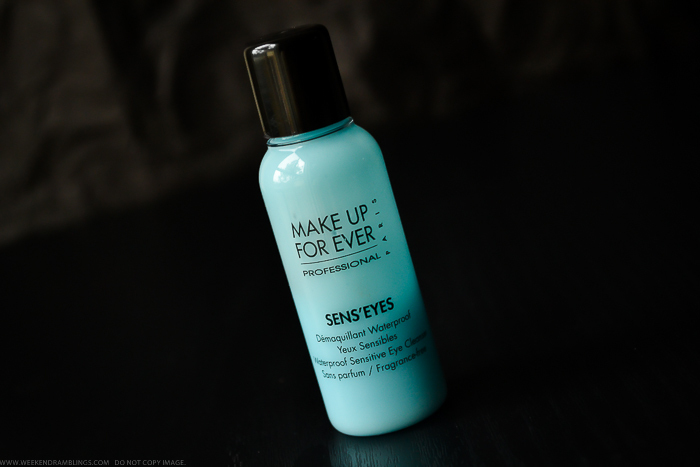 I generally use this at night, but it's also great to use under my foundation to avoid any pesky dry patches. If you don't want to switch your current moisturizers but want to give this ingredient a try, check Dr. Jart+ Water Fuse Water-Full Hydrogel Face Mask. Available as single-use sheet masks, they plump skin without adding in any oiliness. It's been a week since I got some of the products from the Chanel Spring 2014 makeup collection, but I have been busy with things and just couldn't find the time to review most of them. 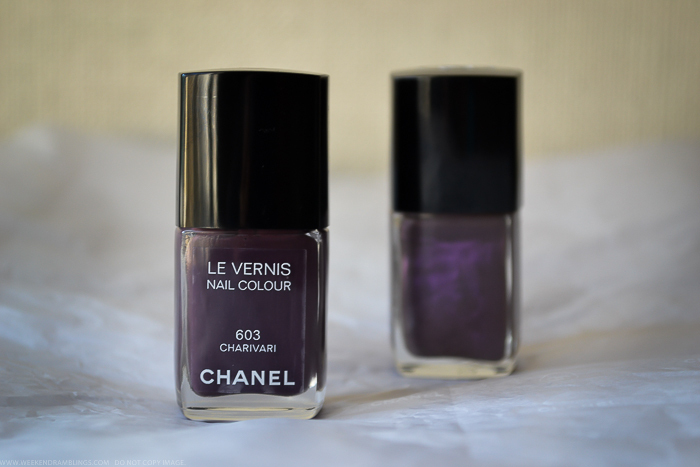 I had made up my mind, though, to post at least the nail polish today, so here's a quick look at the dark purple-mauve nail polish Charivari. It's a creamy, glossy eggplant with just a hint of grey to it and can look a brownish black under some lights. 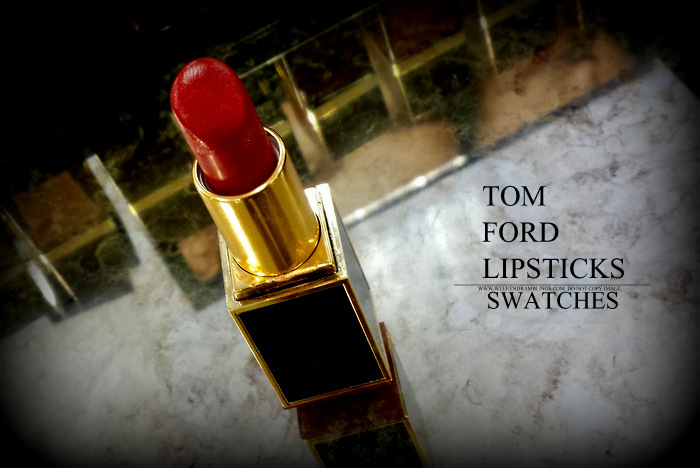 The formula is just fabulous, very easy to apply, and opaque in 1-2 coats. You could follow with a top coat for extra glossiness, but it's nto really necessary, imo. Scroll on for more photos. 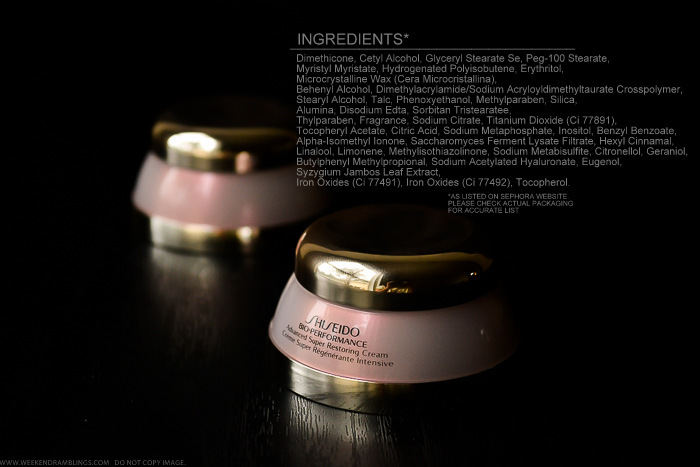 Gingko: Brightens and protects skin against free radical damage. Bamboo Leaf and Motherwort: Help reduce the appearance of redness. A package of extraordinary all-in-one antiaging face pads made from natural plant fiber, these powerful treatment pads quickly address the appearance of sagging, dryness, dullness, redness, and large pores, while imparting a slight tingling and lovely cooling sensation. 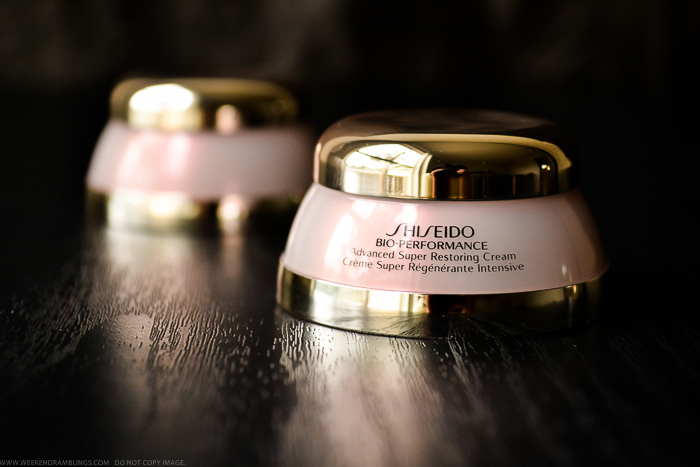 Skin is brought into balance and left feeling firm, dewy, and smooth with a healthy radiant glow in 10 minutes. Contains Gingko extract - considered a living fossil and believed in Chinese Traditional Medicine to have repairing ability. The natural amino acids in Gingko help brighten while natural flavonoids in Gingko help protect against free radical damage. Suitable for all skin types including sensitive skin. 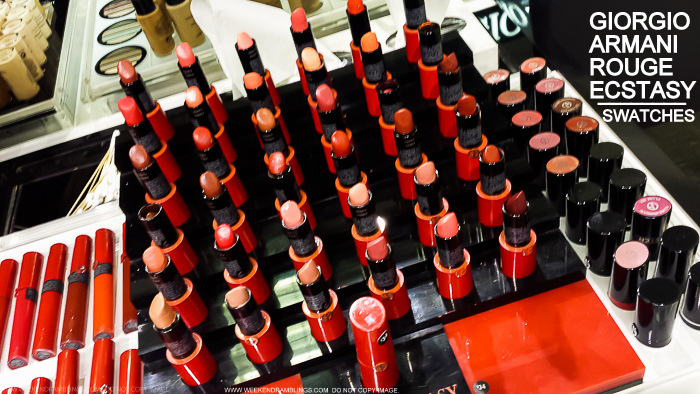 While snowy roads and cloudy grey skies might not seem like spring, the makeup world follows it's own special calendar, and the first of the spring 2014 makeup collections are already starting to show up at counters. 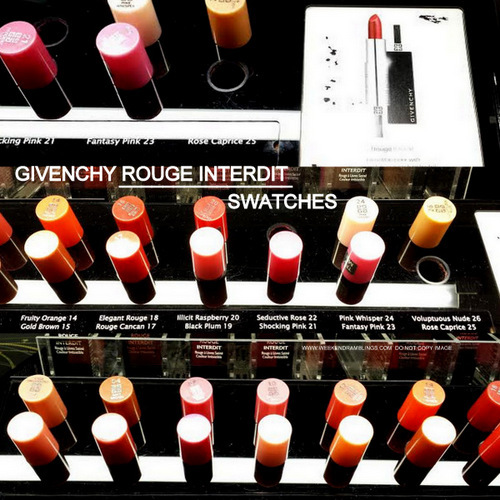 Case in point - Chanel Notes de Printemps makeup collection for Spring 2014. 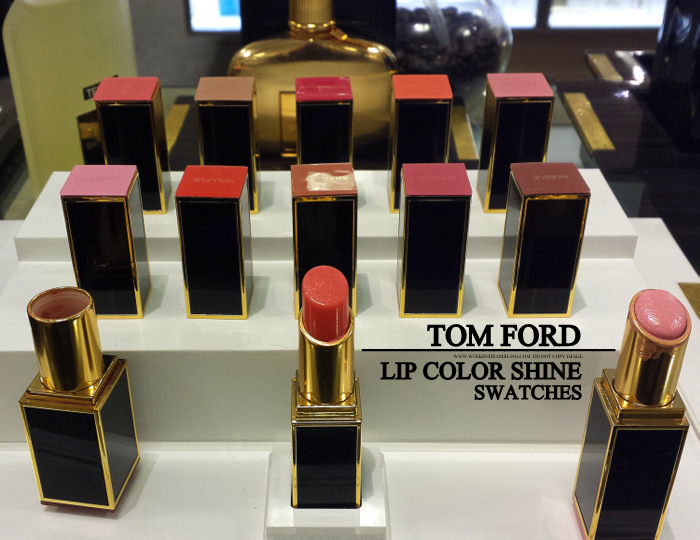 I picked up a few pieces from this collection, and today's review is the Ombres Contraste Duo in Rose Majeur. The two shades in this eyeshadow duo are deep matte eggplant-greyish shade and a satin-shimmery peach-pink. 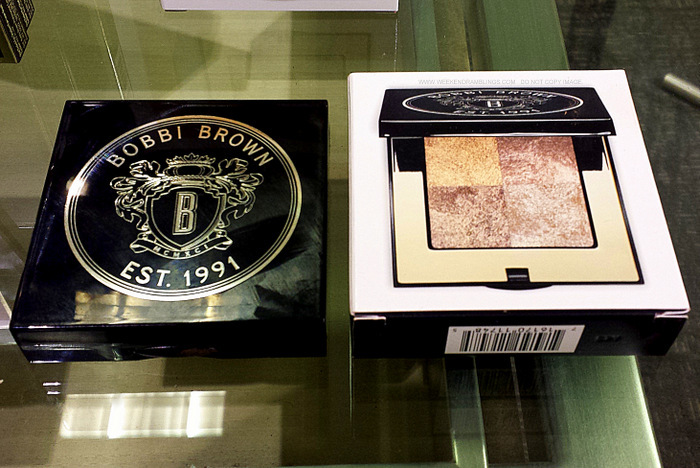 The shadows are housed in the usual classic black Chanel compact, and the packaging also includes 2 small applicators. Scroll on for more photos. 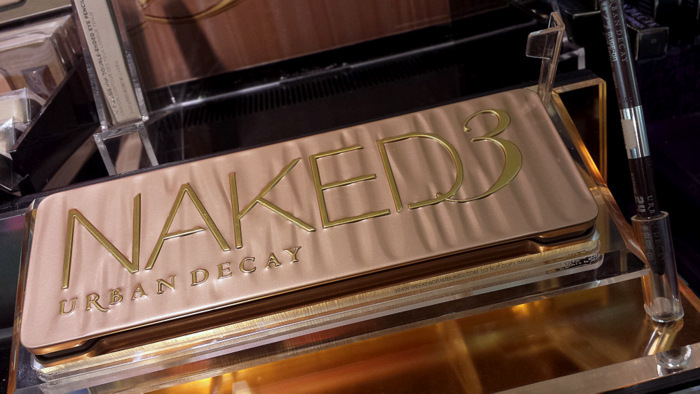 For the benefit of the 3 people in the world who may not know about it: Urban Decay released a new addition to the Naked palette - Naked3. Like the pervious editions, the new Naked3 eyeshadow palette is a dream-come-true collection of eyeshadows for anyone who loves neutral eye colours. The palette features 12 new eyeshadows, and the common theme that links them all together - from the darkest to the lightest these are all rose-based colors. 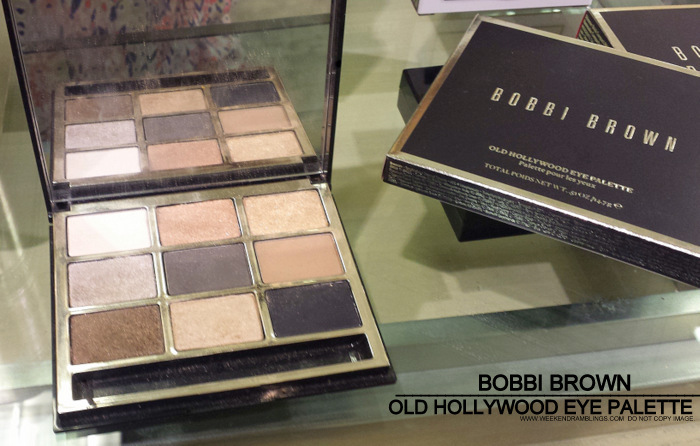 There is also a good mix of shimmer, mattes and shimmers in there. Here's a look at photos and swatches from my local Sephora. 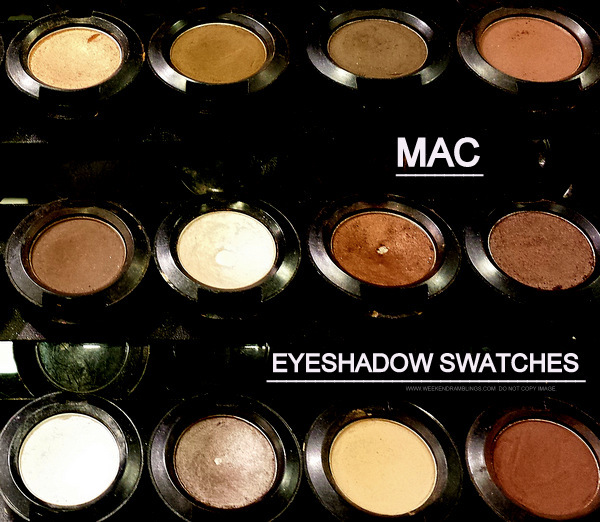 Ever since I discovered them on one of my Sephora-swatching sprees, NARS eyeshadows have become one of my favorite makeup products as are the Urban Decay eyeliner pencils. For today's makeup, I used some of these old favorites - NARS Brousse from the Fairy's Kiss palette, Madrague eyeshadow duo, and Urban Decay eyeliner in Sabbath - as well as a new love - MAC eyeshadow in Saddle. NARS Brousse isn't a universal favorite from the brand; at least one review I read said it ought to be named "bruise" because that's what the purplish taupe color translates to on some skin tones, but I love this greyish purple shade and pairing it with a warmer brown like Saddle instead of the usual pinks or lilacs keeps it from looking ashy on my eyelids. Combined with a softer lip color, this darker purple/taupey smokey eye is an easy but perfect look for winter days, and it's what I have been wearing all of last week and weekend. Here's a look at the products I used and an easy how-to. DHC is a Japanese skincare company with skin and haircare (and makeup) products that have olive oil as one of the main ingredients. The products aren't available in stores and have to be ordered online from their website (in the US, at least). I have tried a few products from this brand before, and the DHC Deep Cleansing Oils is definitely one of my favorites, and I think one of their best-sellers. 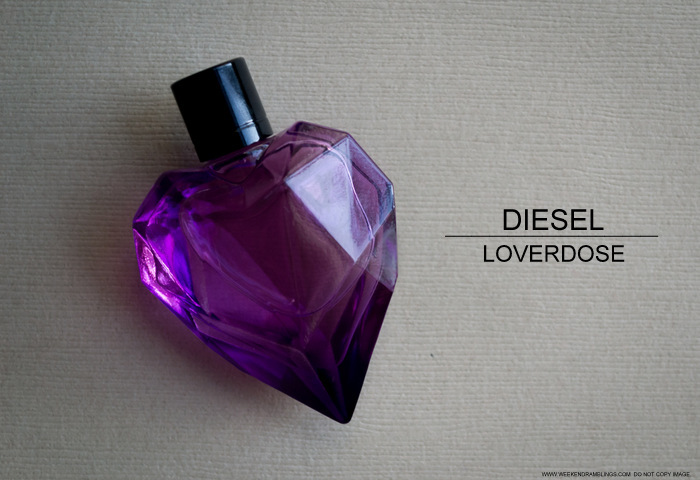 I gave a bottle of this to my friend, and she is obsessed with it! A couple of days back, I received a few more products, c/o the folks at DHC, and now that winter has finally arrived here in California, these couldn't have come at a better time :D Here's a sneak peek at some winter skin/haircare goodies from DHC. It's been a while since I posted anything - swatch posts don't count - and much as I would love to pretend work has kept me busy, it's mostly been Netflix and online shopping :P A nail art post seemed like the easiest way to get back into blogging, and I tried out a simple gradient nail with Maybelline India's Color Show nail polishes. The colors I used are a metallic warm pink (Chrome Pink) and gold (Bold Gold). The pink is a little brighter than what I ordinarily wear and adding a dull gold gradient helps tone it down a bit, imo. These polishes cost Rs. 75 each (a friend bought these for me in India) and are a fabulous pick if you like doing nail art or just change polishes very often. Frost: An iridescent shine that adds a highlight to any colour. Lustre: Smoothly pearlized; intensely frosted with deluxe ultra-fine 'conditioned' finish. Matte: Hi-colour pay-off in a no-shine matte finish. Matte²: Intense, opaque matte finish with exceptionally rich colour payoff. Satin: Pure colour in a satin-style finish. 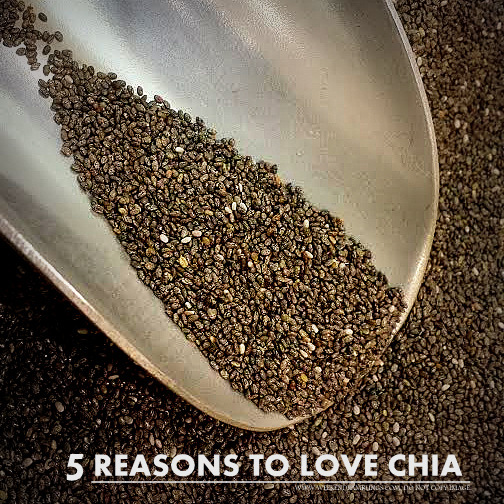 Provides a soft, subtle, non-frost, light-refractive sheen. Veluxe: Superfine pigment rich and very luxe. Supple to apply. 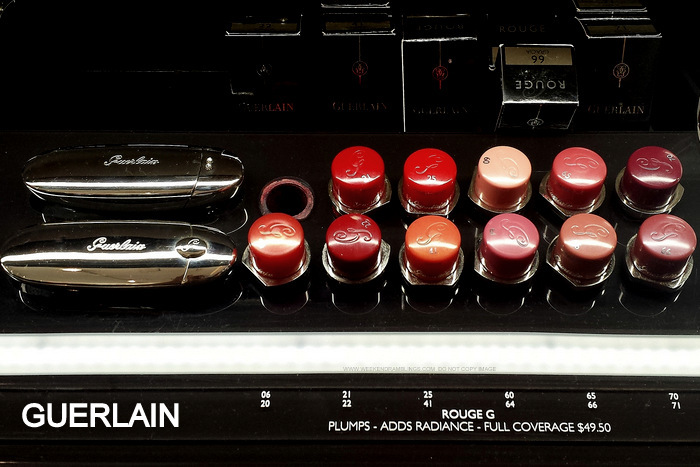 Provides silky smooth matte finish. Veluxe Pearl: Vibrantly toned. Velvety soft. Shimmeringly metallic. Veluxe eye shadow, now overlaid with high-shine pearl. Velvet: Soft-look finish with high-color intensity. Has a plush, velvety look and feel. Ever since I bought the NARS Ride Up to the Moon eyeshadow palette, the bronze-brown eyeshadow Fez has been one of my most used colors. I love pairing it with dark green along the lashline, either with NARS Night Porter (also part of the palette) or smudging a pencil liner like the Urban Decay Loaded along my lashline. Keep the green subtle for a daytime look or go darker for the evenings. Here's how you can get this easy wear-any-time-of-the-day look in a few easy steps.